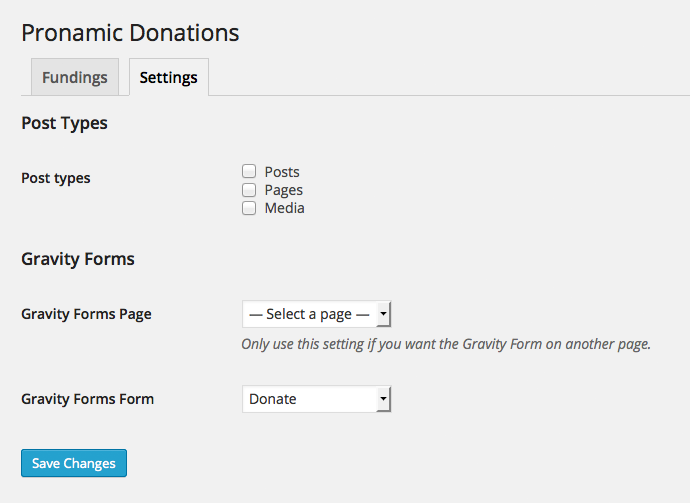 The Pronamic Donations plugin gives your visitors detailed information about the given donations. Pronamic Donations is deprecated. Need a donation solution? Try Pronamic Pay in combination with Gravity Forms, Give or Charitable. Pronamic has a lot of experience with facilitating the communication between iDEAL (a common Dutch payment method) and WordPress. More and more, we were asked if it was possible to make a solution to donate online using the Pronamic iDEAL plugin in combination with WordPress. This was in a complicated way possible, but could be easier in our opinion. This plugin uses the Pronamic iDEAL and Gravity Forms plugins, which results in a solid foundation to easily accept online donations! Your visitors can see how much is donated as absolute amount and/or as a percentage, the target amount and the number of people who have already made a donation. The donated amount will be automatically updated once a payment is received successfully. Administrators can specify a target amount, view entries and customize which information is displayed to website visitors. 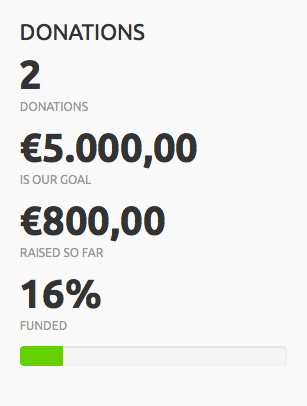 The plugin makes it possible to track the total number of donations. However, it also possible to use multiple donation targets. The plugin supports (custom) post types, which allows you to track and show information for a specific post. This way, each post can act as an individual donation target. To display the donation information you can use widgets or a shortcode. There are two widgets available: Total donations and Donations. The first one will use all donations and the goal that has been set through Settings » Donations, the second one will only use donations for the current post and the target that has been set at the post edit page. The donation information of a specific item is stored as metadata with that item, information related to the totals can be found at the Pronamic Donation settings page. This plugin requires the Pronamic iDEAL and Gravity Forms plugin.